One of the most important events on my annual professional calendar is the Orange Conference. Why Orange? In sum, when it comes to a student ministry curriculum, I have not found one as powerful, versatile, comprehensive, and intentional as Orange. It cares for the middle school student just as much as the elderly aunt who takes care of him. Orange seeks to equip the entire family, not just the teenage kid, for both individual and familial faith. That simple. As a user since 2011, I've continually been sold by how well it prepares me to share the Gospel with teenagers and build parent partnerships for faithful ministry in the home. This post originally appeared on the Orange Leaders Blog on June 22, 2016. Not long ago my wife introduced me to the best show on television... Chopped. I love it. Hands down noting beats it. A simple show in concept: four chefs compete against one another using a basket of mystery ingredients - yet so captivating! Why? Because the ingredients equalize the playing field. Whether the chef be a novice out of culinary a school or a multi-restaurant owner veteran, each chef receives the ingredients at the same time and must respond to them. The ingredients are the star of the show. They call out the character of the chef. Not the other way around. It's the ingredients that define the path. Said C.S. Lewis, "The prayer that precedes all prayers is may the real me meet the real you." "May the real me meet the real you." I probably listened to him share this quote with me dozens of times. I think I also used it. But quite honestly, I don't think I understood the meaning behind it until much later in life. Intellectually I understood it. It's simple in structure, but truly profound in its meaning. Perhaps I missed it time after time because inherent within this quote lays an assumption that you know the real you. Know your message enough to find the direction, but leave it open enough to let the Holy Spirit inspire new content. For humor, build the island, but then make sure that you make a sturdy bridge to and from the island. Satire is about an idea, but mockery is about an individual. We are not called to mockery. Put handles on ideas so that we can carry them forward. We have enough ideas. Put a handle on them. I've written quite a bit on my blog about Orange, and you can read all of those posts by visiting my Archives page. Moreover, if you enjoy reading my other blog posts, especially pertaining to writings on student ministry philosophy and parent partnerships, then you may already be part of the Orange movement without even knowing it! 1. Orange provides a rich community of leaders, as well as accessibility to the curriculum authors, to walk with you through every single part of the process. Every church is supported by an Orange Specialist. This person will walk with you from the beginning of your initial phone call all the way through the rest of your season at Orange! One such person who has become a good Orange friend is Jeremy Zach. He is a friend, colleague, and invaluable student ministry resource. Quite literally, I can call upon him anytime for a chat or Google Hangout, and he has always made himself available to me. Over the years, he has transitioned from an Orange Specialist to a friend and colleague who know oversees the curriculum production. Furthermore, Orange offers an extensive community for those who undergo the great task of Family Ministry. Through partnering with Orange, you will become catapulted into a like-minded community of other leaders. Today is my third blog post of 3 featuring the latest initiative by a premier family-focused ministry organization called Orange. For more information about Orange, check out their site. This week, the brilliant folks at Orange launched OrangeBooks.com, an online resource of their most recent publications. I highly commend Orange and their philosophy of family ministry to you for a number of reasons, but namely, they inspire, encourage, and equip folks from across the ecclesial spectrum to do better family-based ministry within their local context. Hands down, as a Student Pastor, with more than 10 years of experience in the field, it is the best stuff on the market. You can read some of my many blog posts about Orange here. And who doesn't want to do better ministry? Yesterday, I shared with you about a new initiative started by a high-impact family-based ministry organization called Orange. This week, they officially released the launch of Orange Books, a digital library of their most recent publications. 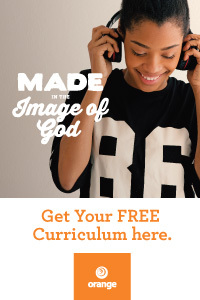 I highly commend this resource to you, regardless of whether you are a full-time Family Pastor at a large church or a caring adult who loves on your neighborhood kids. These resources will equip you to do better work with families in your sphere of influence. If you have read my posts for any amount of time, you may know that I am quite fond of a family ministry organization called Orange. I have written several posts about Orange, and I highly encourage you to check them out in my Archives. Truly, they have equipped me to lead better in every facet of my ministry - from parents to students to working with my Lead Pastor. I highly commend them to you as a resource and support community. A quick caveat for non-paid youth workers: I highly commend this Orange to you as a resource regardless of your capacity in family ministry. I believe that anyone who reads an Orange resource - whether you are a Lead Pastor, Youth Pastor, volunteer, parent, or caring adult - you will be further equipped to support your local church and participate in the work of God in the lives of families living in your community. This week, Orange launched a new initiative. They opened to the public for the first time OrangeBooks.com. Jeff Henderson hit a home run with his talk at the 2014 Orange Conference on the topic of public speaking and delivering a strong presentation. Many of the talks I attended at #oc14 offered so much insight into Family Ministry in general. I learned much, and I am still processing through the insights that I gleaned from presenters and other attendees. But I appreciated Henderson's topic because it hit at the heart of a very specific, necessary subject for leaders in ministry (or any field for that matter): the art of public speaking. Read my notes below from the session, and as you do, think about this QUESTION: What are your strong abilities in public speaking, and where are you weak?